In 2008, Egypt reached an agreement with the US-based Monsanto Corporation to import, grow and sell the company's genetically-modified maize. The first shipment of 70 tons arrived in Egypt in December 2010 and was planted in ten governorates without restriction on planting. The second and most recent shipment of 40 tons arrived in January 2012, but was seized by the Ministry of Agriculture because it was not properly approved. “The January shipment has been imported without the formal approval from the Ministry of Environment, the agency that should approve imported genetically-modified organisms (GMOs),” said Osama El Tayeb, a microbiology and immunology professor* at the Phramacy Faculty of 6th of October University. Dr. Ayman Farid Abou Hadid and Saad Nassar, two advisers from the Ministry of Agriculture, had originally signed the customs papers approving the shipment. Hadid was previously the president of the Agricultural Research Center from 2007-2011, while Nassar held the same position from 1996. “This is a blatant violation of both the Constitution and the Cartagena Protocol on Biosafety that Egypt ratified,” stressed Tayeb, who has also acted as Egypt’s focal point for biosafety issues since being appointed by the Environment Ministry in 2000. A genetically-modified organism is an organism whose genetic characteristics have been altered by inserting genes from other organisms. The GMO seed MON810 has the capacity to resist pests by secreting an insecticide that ruptures insects’ stomachs when they feed on it. The insecticide is created by a gene named cry1Ab introduced into the maize’s DNA. 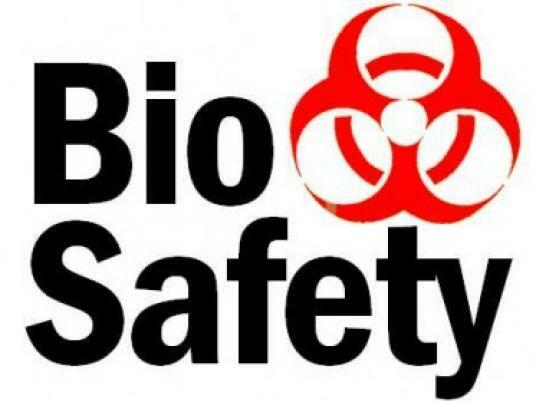 Biosafety refers to the policies and procedures that govern the use of genetically-modified organisms, in order to avoid major environmental and public health issues from their use. Biotechnology is a technique of molecular biology and DNA technology that creates plants and animals with traits not usually found in nature. The Cartagena Protocol on Biosafety was ratified by Egypt in 2003. Originating as an international agreement aiming to ensure the safe handling, transport and use of GMOs between countries, the Protocol was adopted in 2000 as a supplementary agreement to the Convention on Biodiversity, which was the original 1992 treaty focused on developing national strategies for the conservation and sustainable use of biological diversity. As part of its obligations under the Cartagena Protocol, Egypt must create its own national biosafety law. Such a law was drafted in 2004 by a committee composed of representatives from the ministries of Agriculture, Environment, Trade and Industry, members of the private sector, scientists specializing in GMO issues and officials from the chamber of commerce and the customs department. “There was a total consensus between the different stakeholders for the implementation of the law, and I have no problem saying that we wrote one of the best laws regulating GMOs in the world,” said Tayeb. However, the Ministry of Agriculture blocked the process, in a move some saw as politically motivated. “[They blocked it] probably to protect their privileged relations with Monsanto and Fine Seeds International, the company which imports the genetically modified maize to Egypt,” said Adel Soliman, who works with the Environmental Affairs Agency and was part of the committee that drafted the law. “The drafting process was a very transparent one, and the law should have been promulgated in 2004,” he added. Tayeb expressed similar sentiments. “We produced a very good draft in 2004, then Monsanto came in and started bribing some people from the [Ministry of Agriculture] for them to block the normal process from draft to law,” he said. The law will require a risk management assessment for any GMO product that enters Egypt, the correct labeling of all GMOs, and the close monitoring of every step of the import process, including the conditions of shipment. Additionally the law would require a detection lab test of every new GMO shipment to Egypt to examine its properties and components. Under the law, the developer is liable for any environmental damage caused by their product. “After the Ministry of Agriculture finally agreed to the draft, nothing happened until 2011,” said Soliman. He explained that a letter was sent to former Environment Minister Maged George by the drafting committee to ask him to push for the promulgation of the law, which he finally agreed to do in July 2011. The legal committee revised the draft and agreed to it, and in November 2011, the draft was sent to Field Marshall Hussein Tantawi for approval in the absence of a Parliament. “Tantawi was not opposed to the draft, but he wanted Maged George to personally present the draft to him,” explained Soliman. “But [George] knew that he was about to lose his post, so he did not bother.” George was removed from office four days later. In February, the newly-appointed Minister of Environment sent the draft to the Parliament. “The draft has never been closer to becoming a law,” said Soliman, who is certain that the motion will be studied by the next Parliament, the dissolution of the People's Assembly notwithstanding. Soliman is so confident that the Egyptian biosafety law will be promulgated sooner rather than later that he and the Environmental Affairs Agency have scheduled biosafety law implementation trainings for customs officers and other stakeholders to begin in August. “I know it’s a bit early, but we want them to be immediately operational when the law is promulgated,” said Soliman. Plans are also on the table to train members of governmental bodies from various ministries to facilitate the implementation of the law. * This article was amended on 22 July 2012. It previously stated that Osama El Tayeb was a professor of biology only.